A very Happy New Year to all our Craftybasers! Along with the excitement of a brand new year comes the not-nearly-so-exciting task of getting your figures together for tax time. We at Craftybase have made a huge number of improvements this year so that we can now provide many of the figures you need, so we'll give you some quick pointers on where to find the tallies you'll be needing for your bookkeeper or accountant. Our new Schedule C Guidance Report brings together all the important inventory tallies that you need for filing a IRS Form 1040 Schedule C. This form is required to report income or loss from a US based business you operated as a sole proprietor. If you aren't familiar with this form, you can find the Full IRS instructions for completing the Schedule C form here. If you aren't based in the US, this report can still be quite useful to obtain your final revenue, category breakdowns and your end of year inventory values so it is worth understanding how it is generated. To find the Schedule C Guidance Report, navigate to your Reports page then click the Schedule C Guidance Report under the General section. Just a quick note about the accounting method before we delve into the report. Craftybase uses the Accrual method where all expenses and revenue are tallied in the financial period when received (i.e. not when paid). More details about accounting methods can be found in our help article here: What's the difference between accrual and cash based accounting? Gross Receipts (Including Returns): The total revenue received in this financial period. An important note: Returns are already removed from this amount and will need to be calculated separately to provide the figure for Part I Line 2. To make sure these numbers are correct, ensure that you have all orders logged for 2016, including any returned / cancelled orders. All indirect expenses (i.e. not related to the purchase of materials used in manufacture) are listed based on the categories you have created and assigned to your non material ("Other") expenses. If your categories are different to the ones expected in your Schedule C, then they will need to be merged, changed or alternatively mapped to the correct categories manually. You can find a list of all Schedule C categories available on the actual Schedule C form here. 33. Method used to value closing inventory: Craftybase applies weighted (rolling) average cost calculations to all materials used. 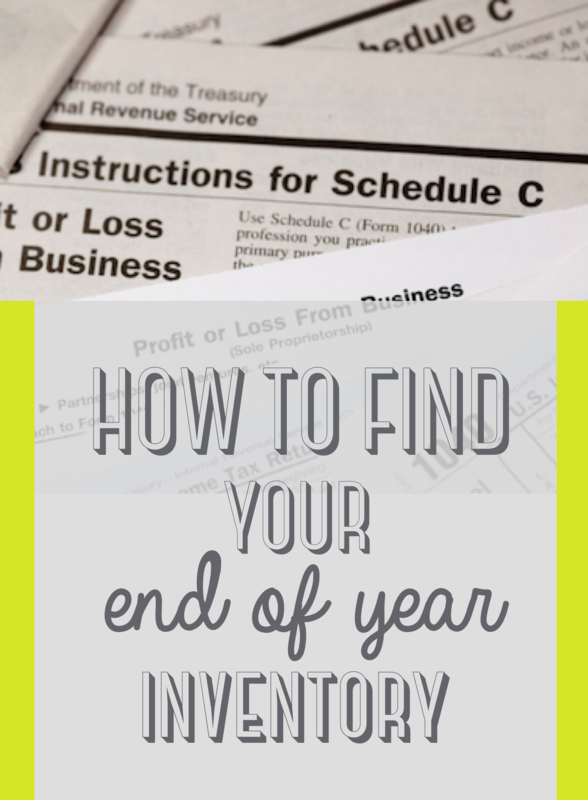 Remember all those expenses, manufactures and adjustments you've been logging all year? These have all been creating journal entries to track your stock increases and decreases, which Craftybase then uses to calculate your unit prices and thus exact cost on hand for any moment in time. 35/41. Inventory at beginning / end of year: The total value of all materials in stock on this date, plus the material cost of all unshipped stock. Again, this is generated from your journal entry history: we calculate your exact stock on hand at the start and end of the year and can pinpoint the exact costs attributed at that moment in time. Tallied up, this becomes your total inventory value. Because we also track your shipment dates, we also know your unshipped stock on this date and automatically include the material cost for these to your tally. 36. Purchases less cost of items withdrawn for personal use: This is the total of all inventoriable purchases you have made in the year (using the accrual method). Your total of material and project inventory adjustments categorised as "Personal Use" is then removed from this tally to give you your total figure for Line 36. As always, if you have any questions about anything covered above please feel free to get in touch via our support page or join our Craftybase Official Facebook community group for friendly discussion.